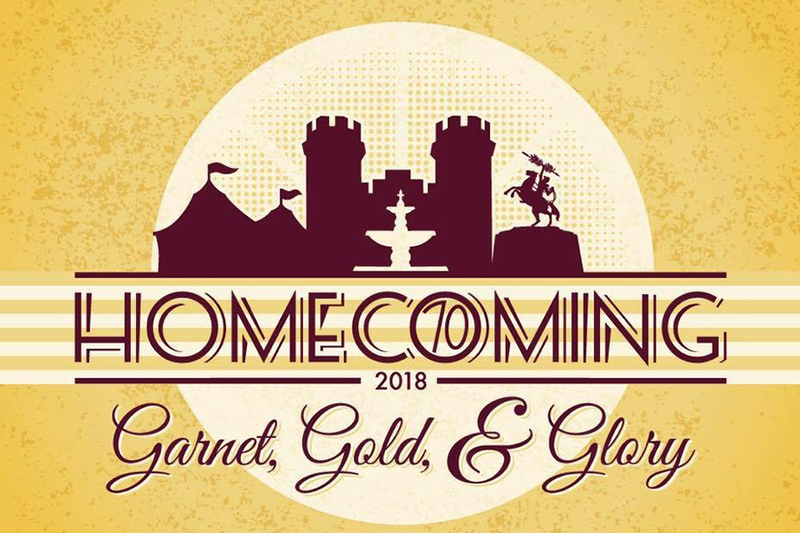 Florida State University will host its annual Homecoming Week celebration with the theme “Garnet, Gold & Glory” beginning Monday, Oct. 15, through Saturday, Oct. 20. Live performances, a street parade and FSU’s largest pep rally highlight this year’s events leading up to the Homecoming football game against Wake Forest Saturday, Oct. 20. 7 p.m., Union Ballrooms, doors open at 6 p.m.
5:30 p.m., South Side of Moore, registration at 5 p.m.
8 p.m., Donald L. Tucker Civic Center, doors open at 7 p.m.
8 p.m., Moore Auditorium, doors open at 7 p.m.
– 1st Session: Landis Green & Leach; 10 a.m.-1 p.m.
– 2nd Session: Donald L. Tucker Civic Center; 5-8 p.m.